Every September, we leave it up to the readers of City Weekly to choose who they believe is the most deserving of the Best of Utah Arts awards. This year, they spoke with their votes and awarded Alex Velluto as the Best Stand-Up Comedian for 2016. It was a nomination and win that the Utah stand-up community was happy to see Velutto pick up—and an achievement that was not lost on the comedian at all. "It was cool. I was nominated last year and had everyone vote for my dad, who is a professional illustrator, as Best Comic Book Artist while they were voting for me," he says. "He ended up winning last year, and I lost. So it was good to get another Best of Utah award for the Velluto family." 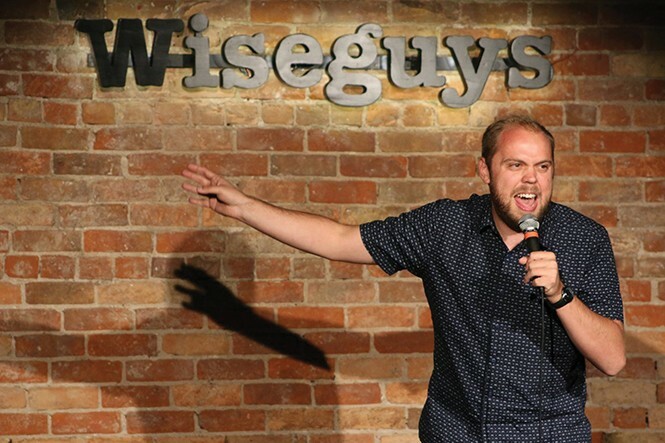 Already a veteran of the SLC comedy scene and having performed around the country in festivals and competitions—plus co-hosting the Happy Valley Podcast—Velluto is familiar to Utahns who appreciate his self-deprecating outlook on everything. Now, fresh off the win and the exposure, he headlines his own show at Ogden's Wiseguys, doing two nights on the 25th Street stage. Ten years ago, Dan Karlan, Allan Lazar and Jeremy Salter were retired or semi-retired scientists with an idea for a spin on Michael Hart's book The 100 Most Influential People in History. 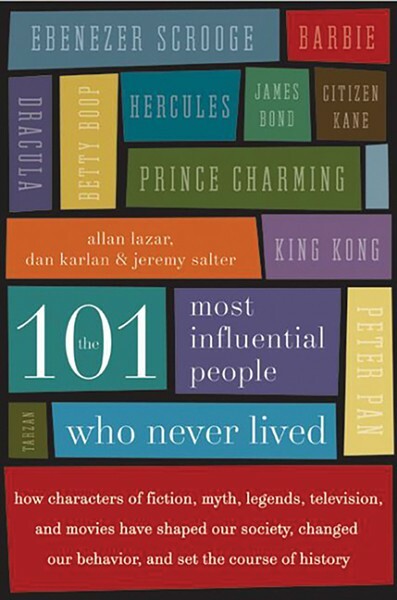 A decade later, and now in its 15th printing, The 101 Most Influential People Who Never Lived is still an entertaining and intriguing look at some of the fictional creations who most shaped our culture—from Batman to Santa Claus, from James Bond to Kermit the Frog. As the book celebrates its 10th anniversary, co-author Karlan stops in Salt Lake City to talk about the choices on their list, and the factors that went into their selection. "We looked principally at how many people were influenced, and the nature of that influence," Karlan says in an email. "In several cases we actually surprised ourselves, when we learned something about a character that caused us to re-evaluate the influence or significance. And each of us brought our own unique perspectives and history to the adventure." Being different is OK; we just need to accept those differences in ourselves and others. That's the message of Diary of a Worm, a Spider and a Fly—a children's play by Joan Cushing from Salt Lake Acting Co. Based on the book series by Doreen Cronin, the play follows different species as they learn to embrace their own unique characteristics and their friends. As the title suggests, Worm (Sky Kawai), Spider (Cameron Fleck) and Fly (Emilie Starr) attempt to understand their quirks while navigating childhood. Starting on the first day of school, the trio—along with Ant (Joseph Paul Branca) and Butterfly (Micki Martinez)—learns about themselves and their classmates in Mrs. McBee's (Alicia M. Washington) class. What makes each of them interesting is also what sets them apart—something they all eventually come to understand. 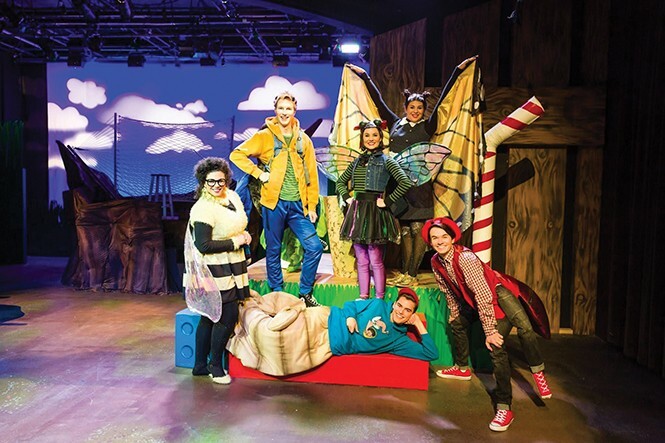 In addition to a message of love and caring, the play also teaches kids—and their parents—scientific facts about each of the characters. If nothing else, it might make you think twice before rolling up a newspaper to disptach a wayward insect. This has been a particularly rough year—all the more reason to put aside our cynicism and succumb to some old-fashioned escapist entertainment. Granted, some of us stopped believing in Santa Claus a long time ago. But then again, it's good to have something to believe in these days. And who better to restore our faith than old Saint Nick, the one jolly old elf capable of distracting us from today's worries and woes. No wonder then that the Santa celebration offered by the Utah Symphony provides a momentary pause, if only to lift our spirits and hear merry music flush with holiday happenstance. "Here Comes Santa Claus is a perennial favorite for kids of all ages," Renee Huang, the orchestra's director of public relations, says. "It's a great tradition to get the whole family in the holiday spirit."